Organic traffic is absolutely essentials for businesses like gyms. Why? Well, organic traffic is FREE traffic from search engines. But here’s the challenge: in order to score this free traffic, your website has to properly optimized for important, relevant keywords. 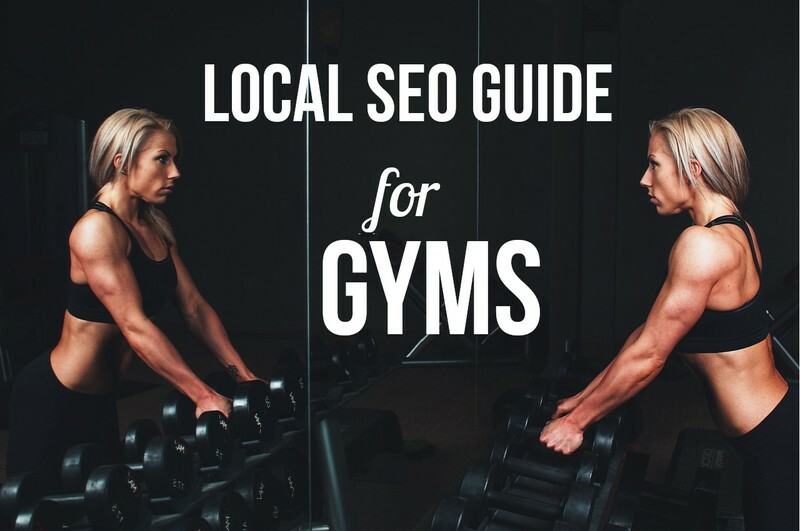 This local SEO guide explains the most important aspects of gym SEO in a step-by-step manner. Let’s get to it! The first step of a successful SEO campaign is keyword research. Google Keyword Planner is a great tool for keyword research. However, it should be noted that Google Keyword Planner no longer provides exact monthly search volume data for keywords unless you are paying for a pay-per-click account. You will have to make do with less exact search volume ranges (i.e. “100-1k”) if you don’t have a paid account. KeywordTool.io is another tool that is useful for generating keyword ideas. You can then plug these keyword ideas into Google Keyword Planner to acquire their monthly search volumes. In general, keywords with larger search volume will be more difficult to rank, but the upside is they will bring in more visitors. For a gym or fitness center, the main keyword you will target will be something like “gym in [city]” or “[city] gym” or “[city] fitness club.” These are great purchase intent keywords that will bring in visitors who are near the bottom of the purchase funnel and ready to make a purchase. KeywordTool.io and Keyword Planner are also great for finding keywords with research intent. Research intent keywords are related to, but not directly about, the services or products you are offering. These keywords target visitors that are further up the purchase funnel in the awareness stage and may be just hearing about your brand for the first time. Research intent keywords are great for optimizing blog posts. For example, “benefits of joining a gym” is an excellent research intent keyword phrase that your business could create a blog post about, which would target visitors in the brand awareness stage. Each page of your site should be focused on one primary keyword or key phrase. If your gym is located in one city, then you will want to focus on the homepage as the main page to optimize for your primary target keyword (i.e. “[City] gym”). If your business serve multiple areas, it is important to have separate location pages for each area served. The secondary pages should be internally linked from the main navigation of the website. This will send link authority or ‘link juice’ from the homepage (usually the most authoritative and powerful page on the site) to these secondary pages. If you serve multiple locations, you can include a ‘Locations’ tab in the main navigation with a dropdown that includes links to all of the separate Location pages. Blog pages should link to one another (when relevant) with keyword rich anchor text. This will help to spread link authority and keyword relevance throughout the site. But don’t overdo it with internal links. Too many internal links on a page is a spam signal to search engines and can hurt rankings. It is best to have short, keyword rich URLs. It is a good idea to use lowercase letters and dashes rather than underscores when writing URLs. The title tag is one of the strongest indicators to search engines of what a webpage is about. It should include the primary target keyword or key phrase. Title tags should be less than 65 characters in length so that they display correctly in search engines without the wording being cut off. The meta description is a slightly longer description of the main focus of a webpage. It should be less than 156 characters to ensure that it displays correctly in search engines. The meta description should summarize the content of the webpage, include the primary keyword, and end with a call to action (when relevant). [Name of Business] is the premier gym in [your city]. Contact us today for a discount on your first fitness session! The H1 heading should appear at the top of the webpage and should state what the page is about. There should only be one H1 heading per page and it should include the primary keyword or key phrase. The copy on each page of your site should be over 400 words and be extensive in what you are trying to convey. The homepage copy should provide a bit of background info about your business, including the services offered, and it should end with a call to action. The primary keyword should be included in the first paragraph of the body content and variants of that keyword should appear a few times throughout rest of the copy. Including a contact form or a call to action (with a phone number or email address) at the bottom of each page will increase the number of leads you receive. Each page should include at least one image. Why? Well, the answer is simple: images are a quality signal for search engines. The alternative text attribute of an image (aka “alt text” or “alt tag”) appears in the HTML of the page and is a brief description of the image. It is best practice to have at least one image with alternative text that includes the primary target keyword for the page. Structured Data is “machine friendly” data that is added to the HTML of a webpage to help Google and other search engines better understand the content on that page. Structured data, such as Schema markup, can help search engines understand particular elements of your content, such as phone numbers, addresses, reviews, events, and more. If you have a multi-location business, each location landing page should include LocalBusiness Schema markup in the HTML to mark up important elements like the business name, address, and phone number. This will help the webpage appear higher in Local Search results. With the launching of a new ‘mobile-first’ index, Google will order its rankings based on the mobile version of the webpage, even for listings that are shown to desktop users. A recently launched page for testing the mobile speed of a webpage also indicates that Google is heavily focusing on providing search results with good mobile experiences to its users. With this in mind, it’s important to view all of your site’s pages on a mobile device to ensure they are mobile-friendly and load quickly. Check your website on Google’s Mobile-Friendly Testing page to ensure that your site’s pages are compatible with mobile devices. Be sure to test your website’s pages in Google’s PageSpeed Insights and Mobile Speed Test and follow the recommendations provided to quicken your page speed. Reducing the number of crawl errors in Google Search Console can improve the search engine visibility of a website. If webpages have been deleted or a website redesign has taken place without properly redirecting old URLs, it can result in 404 errors. Implementing 301 redirects of old URLs to their most relevant current URL, will ensure that link authority (or link juice) that the old URLs collected over time will be passed on to the new URL. Review the list of 404 errors in Google Search Console and implement 301 redirects to their most relevant live URL counterparts. To ensure that all pages on your site are crawled by search engines, it is best to include an XML sitemap for your website. An XML sitemap is a map for search engines to find all of the site’s most essential pages by listing them out in XML (Extensible Markup Language). Including a robots.txt file will increase the speed up the crawling of your website. This is a text file that tells crawlers which pages should not be crawled on the site. It typically exists on your site with a URL like ‘example.com/robots.txt.’ Disallowing pages that do not need to be crawled (e.g. login pages, disclaimers, etc.) will help the crawling and indexation of your site. Visit google.com/business and claim your Google My Business profile. You will need to go through a verification process where Google will send a postcard with a PIN to the physical address of your business. Then enter this PIN into your Google My Business account to verify the business. Optimizing your Google My Business profile is the next step. This entails filling in as much detail about the business as possible. You will need to add your business’ logo, a complete description of your business, relevant categories, business hours, types of payment accepted, and any photos of your business and its services or products. Citations in online directories are a primary ranking factor in local search listings. The more citations the business has and the more consistent the business’ name, address, and phone number is across these listings, the higher the business listing will appear in local search. It is also of utmost importance to remove any duplicate listings of your business when you come across them because duplicate citations hurt local search rankings. Here is a list of the top 50 citations for local businesses in the US and here is a list of the top local citations for gyms. According to MOZ’s 2017 Local Search Ranking Factors, review signals (review quantity, review velocity, review diversity, etc.) are one of the top factors in Local Pack/Finder ranking. You can send emails asking for customers to check out your Google My Business page where they can leave a review. This will ensure you acquire reviews on a regular basis. Backlinks are hypertext links from other websites that point to your own website. Backlinks that point to your site from trusted, authoritative websites may be the strongest factor in whether your website ranks highly in search engines. Unless it has a ‘nofollow’ attribute, a link to your site from another website will pass authority (or ‘link juice’) to your site. You can think of links as votes for your own site. The more useful your own content is, the more websites link to it, or ‘vote’ for it, increasing your site’s authority and rankings. By acquiring more backlinks from relevant, authoritative sites you can increase your own site’s domain authority, which will make it more likely that your site’s pages will rank highly in search engines. However, be sure to avoid acquiring links from too many low-quality websites, because this will hurt your search engine rankings. In order to acquire free organic traffic from search engines, make sure you plan your website ahead of time and adhere to the best practices of on-page, off-page, and technical SEO. Follow the principles laid out in this Local SEO guide for gyms and you will be well on your way to acquiring many more memberships for your gym. I am a Chicago SEO expert with extensive experience helping small businesses, like gyms and fitness centers, attract more local customers from search engines. If you’d like help with your SEO, contact me today.